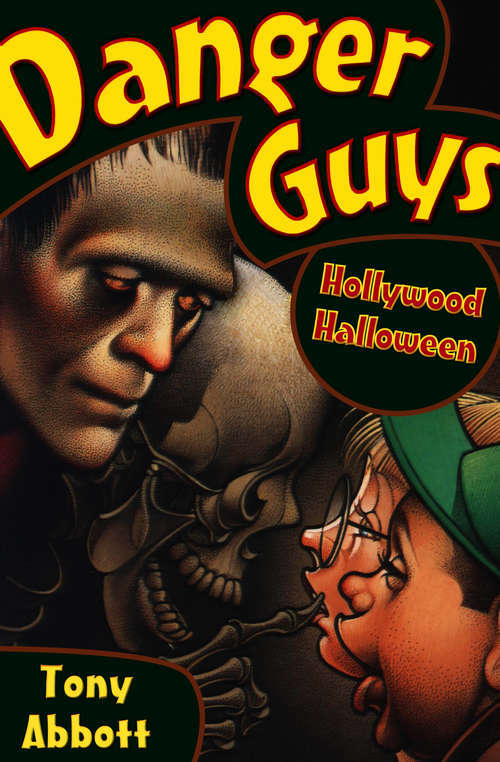 The Danger Guys find themselves in a real-life scary movie, and the ending is up to themIt's Halloween, and best friends Noodle and Zeek have decided to make a horror movie in honor of the holiday. To show the boys how real films are made, Zeek's family takes them to Paragon, the oldest studio in Hollywood. During the tour, a huge lightning storm separates Noodle and Zeek from the rest of the group. The two boys suddenly find themselves in a world of famous sets and exciting props. It's the perfect location for their own movie!But it turns out that Paragon Studio has more than a little danger--and not just the staged kind. The lightning damaged the studio's central control center, and all the electronic props are now going crazy. Noodle and Zeek must battle an evil robot, a sneezing dinosaur, and a deadly mummy in order to find and warn Zeek's family. Little do they know that Zeek's family is also under attack! With some luck and a lot of movie drama, the Danger Guys show Paragon Studio what real heroes look like.